Welcome to another Studio Monday! Yes, I've jumped on the "Perler beads to enamel dots" train, but a little more carefully than others seem to be taking it. I'd never want to melt plastic in my conventional oven because of the dangers of chemicals in the air and chemicals getting in my FOOD. I'd rather not kill us just for some cheap dots. Instead, since I already needed a non-food toaster oven to cook Sculpey clay figures in, I thought I'd try the enamel dots as well. I bought one of those big tubs for a few dollars at Michael's, arranged them on a piece of a Tim Holtz non-stick mat, and set them in the toaster oven outside on my deck. Since, even in a portable oven, there's risk of fumes I'm only going to cook non-food items outside. This is a picture of my second batch after I made a test batch. The test batch came out just fine too, but I figured I'd show you this since it shows how many dots I can do at a time. I can get even more than this actually, too, so it's a lot. For my Black and Decker, $29 model that I got at Wal-Mart the setting 300* for 40 minutes works perfectly. I do them in batches of light and dark dots. I didn't really see a difference in cooking time for the daker ones, or for the clear/glittered beads. They all melted well at this temperature and setting. I am at 7,000ft elevation too, so I'm sure that affects cooking time. This shot isn't as helpful as I'd like, but this is my batch of half dots. I cut the beads in half with my scissors and cooked them at the same time and heat. As you can see, on a few of them, they melted a little wonky since they were cut a little wonky. I'll be more careful next time. 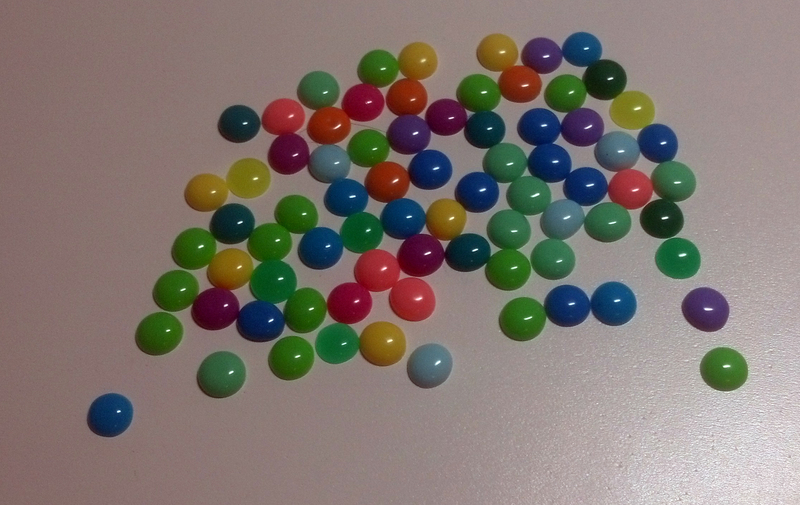 The half dots DO end up smaller though, so that's nice to have various sizes. I had to get a box to contain them, of course, so I picked up a $2 embroidery floss box and separated them by colour. I love this sight. so much pretty. If you've seen my projects lately, you know I've been using them too, which is always good. Make, use, repeat. I use Glossy Accents to attach them to my projects and that seems to work nicely. 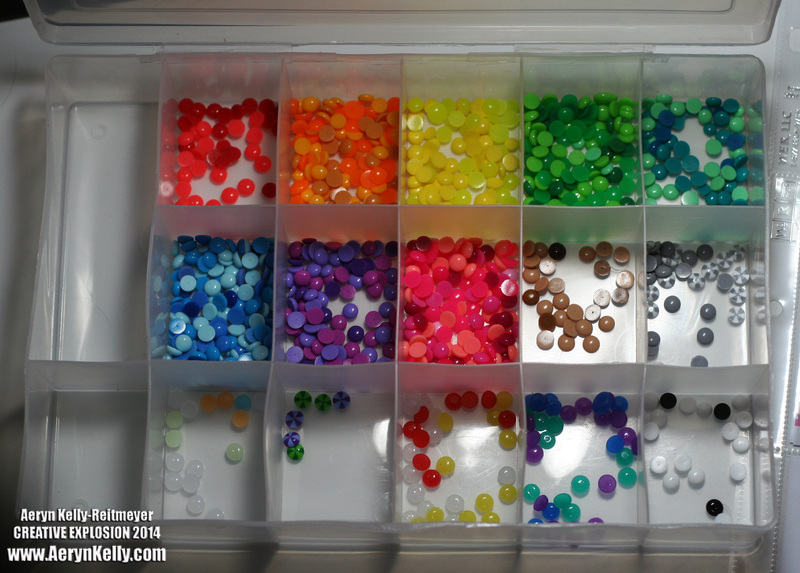 There's a crapton more dots in my big 11,000 bin so I will be able to make more dots to fill this up and then some, lol! 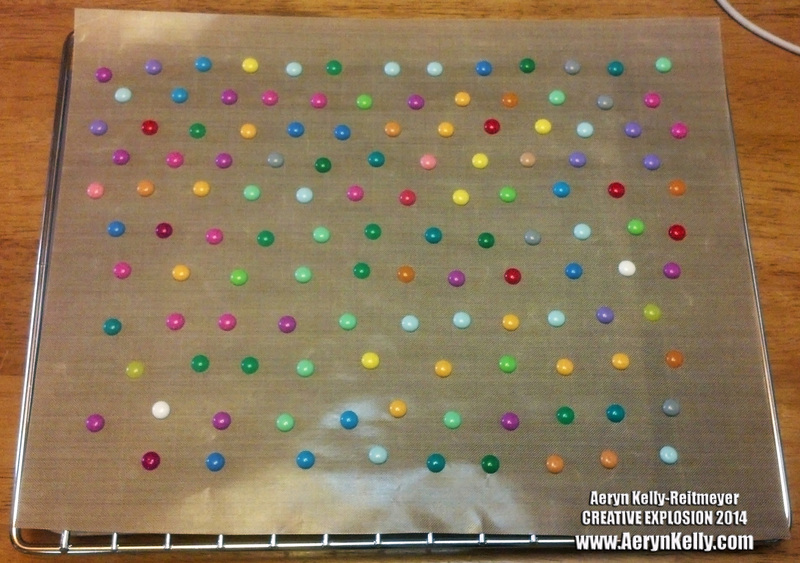 I hope you enjoyed this week's Studio Monday and will come back to see how I use up these pretty little dots! Great job!! Can I pin this Aeryn to keep forever? Aeryn, yours are turning out great. Wonder if the little oven really is a better option all around, closer to the heat element, smaller area heating. They do look so beautiul in their color cube box. I believe it's safer, for sure. It may work better, but I know it's safer not to cook plastic in something you're going to cook edibles in. They said BPA was non-toxic, put it in baby bottles, and then babies started dying. Best to keep crafting separate, lol! WOW! That's a lot of dots but good to know how to create them - thanks! I love these dots! I haven't tried it yet, but I do want to give it a go. I'm at sea level, so I'll probably use your temp as a starting off point and see what works from there. I bought a TON of striped Perlers so I can't wait to see how they turn out for me! Also, using the oven outside is genius. 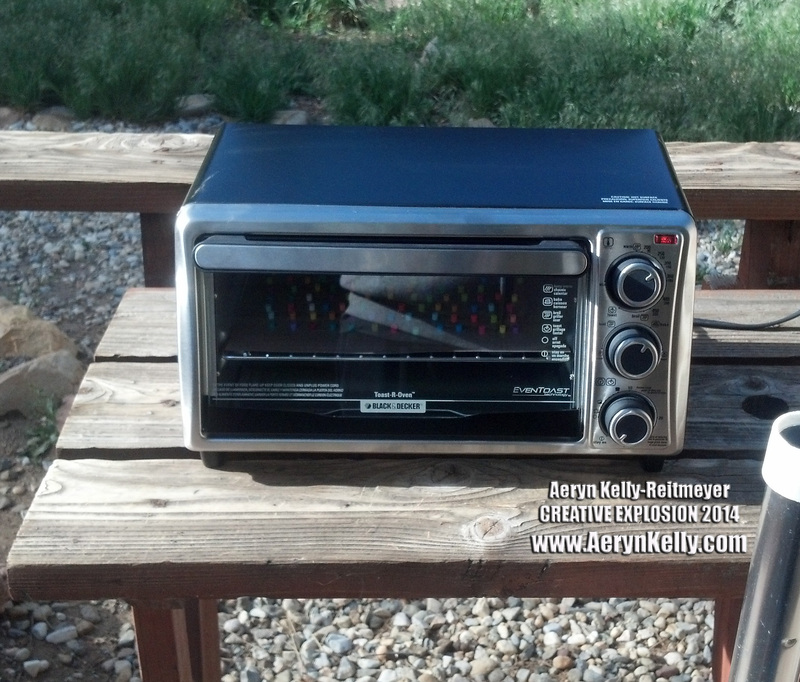 Yeah, combing food and chemicals isn't always the best, so using a separate toaster oven outside seemed the safest idea to me. Glad this post could help!